Ballast Point has always stood out among the thousands of craft beers available today and to do so in the large brewing city of San Diego is impressive. They have been the recipients of many awards across the country and even throughout the world. It is no surprise that the company was recently purchased by Constellations for one billion dollars. Let’s see that numerically: $1,000,000,000. That is a one with nine zeros! One of their most famous brews is also one of their only IPAs, Sculpin IPA. The ability to generate such popularity while maintaining a great tasting brew makes Ballast Point’s Sculpin IPA our featured beer of the week. Sculpin is one of the beers that started Ballast Point off. By experimenting with the recipe, they were able to discover that hopping an ale at five different stages produced an amazing IPA. The hops give off many different fruity and citrus flavors such as apricots, mangos, peaches and lemons. This tropical style beer pairs perfectly with caribbean foods. According to Ballast Point, the recommended foods include coconut basmati rice, Jamaican jerk chicken and tropical bread pudding as the dessert. Sculpin IPA rates a 70 on the International Bitterness Unit (IBU) which is typical for most IPAs. Even though there are many fruity flavors in the brew, you will still get the bite of a seven percent ABV scale. 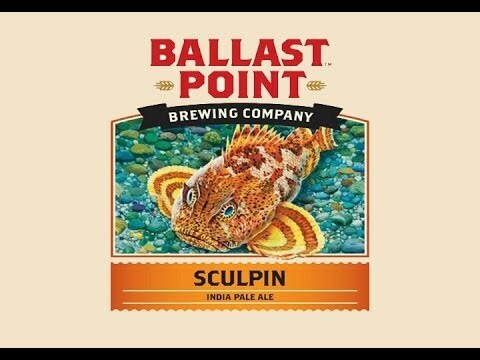 The success of Sculpin IPA has inspired Ballast Point to venture in other forms of the IPA. Embracing the tropical feel, they have also created a Grapefruit Sculpin IPA and for the more daring, a Habanero Sculpin IPA. This particular brew is a classic Sculpin IPA with fresh habaneros infused in the recipe. It offers a new twist to the award winning IPA. Most of the beers that Ballast Point creates can be had on draft. The next time you are on a pub crawl of Downtown Las Vegas, make sure to try one of them out. Contact us for available times and to book a pub crawl of Downtown Las Vegas.